According to the World Health Organization (WHO), these five countries - Brazil, Russia, India, China and South Africa - account for around half of all the detected tuberculosis cases. The BRICS countries have approved a decision to establish a joint working group to devise a program for combating tuberculosis, a deputy Russian health minister said on Saturday. “At the meeting in Brazil, special attention was paid to the problems of fighting against tuberculosis as this is a topical issue for all the BRICS group countries which significantly affect global statistics on this disease,” said Dmitry Kostennikov, who led the Russian delegation at the fourth meeting of BRICS health ministers in Brasilia on Friday. 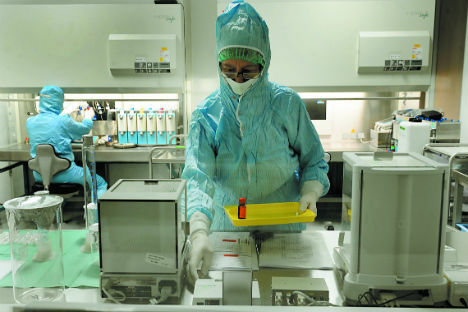 BRICS countries, which have 43% of the world’s population, are to decide how to “make the diagnosis and treatment of tuberculosis under a 90/90/90 formula more accessible for the population,” the official said. “The idea is that 90% of citizens should be examined, 90% of those infected should be provided with medicines and the treatment effect should be achieved in 90% of cases,” Kostennikov explained. Russia already now “has possibilities to ensure 100% diagnosis and the same level of accessibility of medical aid, including first-level medicines,” the official said. “The decisions that we have adopted fit into the WHO program that has set an ambitious task of eradicating the tuberculosis problem on the planet by 2050,” he stressed, adding that the meetings of BRICS health ministers allow coordinating positions for cooperation as part of global bodies, such as the WHO. He reminded that BRICS countries have stepped up cooperation and participation in the joint effort to combat the deadly Ebola virus disease. The participants of the meeting also discussed helping the global fight against HIV/AIDS, hepatitis and tropical diseases. The next meeting of BRICS health ministers is scheduled to be held in Moscow in October 2015.